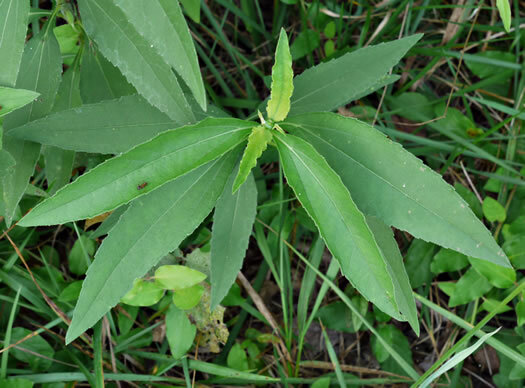 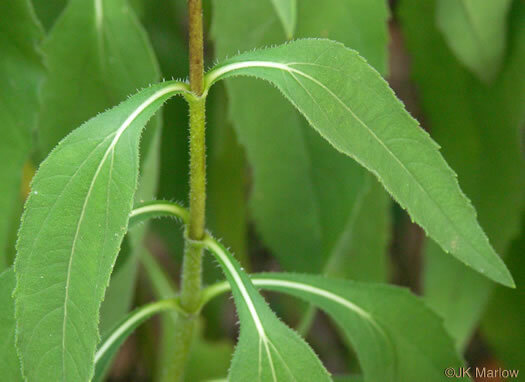 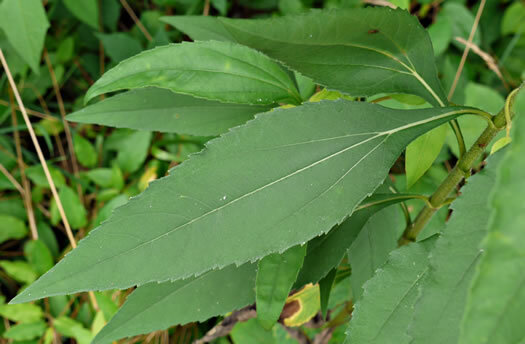 Leaves w a prominent lateral pair of veins near the base, petiole 1-5 cm long, per Weakley's Flora. 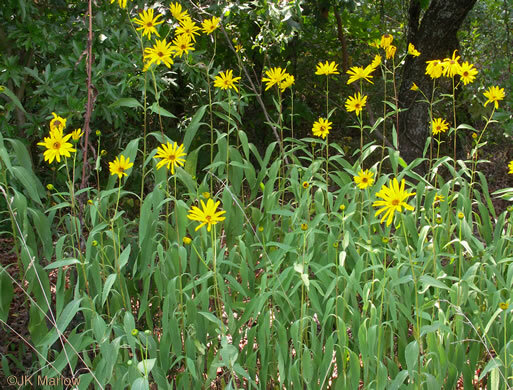 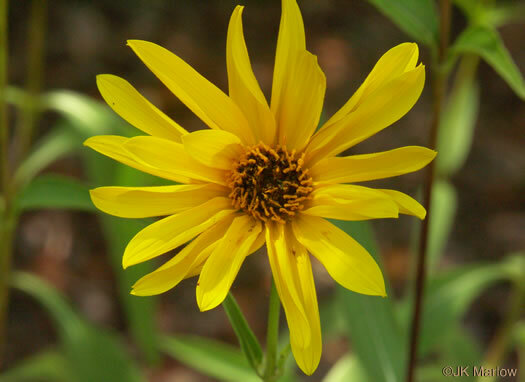 Stems erect, 1-2.5m tall; lower internodes ~ 3-10cm, upper considerably longer, per Vascular Flora of the Carolinas. 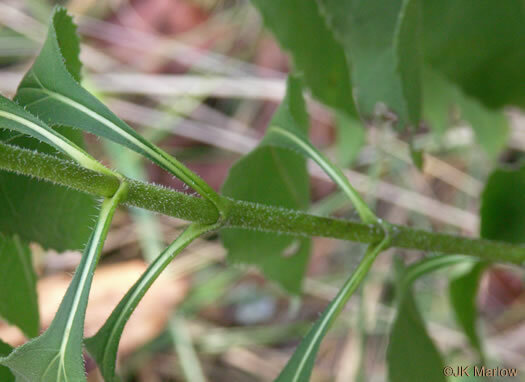 Stems scabrous and spreading pubescent, somewhat glabrous above, per Vascular Flora of the Carolinas. 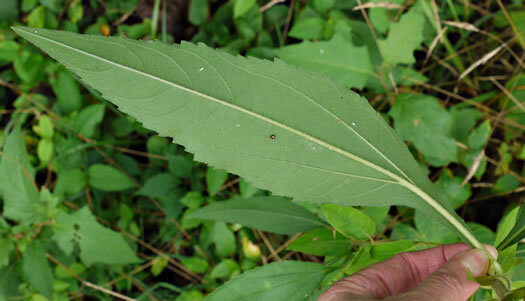 Leaves opposite, lanceolate to lance-ovate, serrate, pubescent and scabrous, per Vascular Flora of the Carolinas. 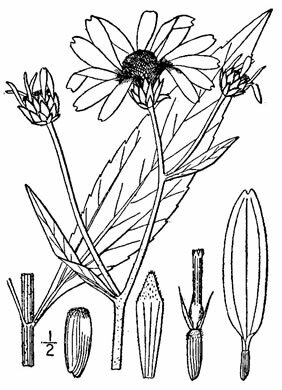 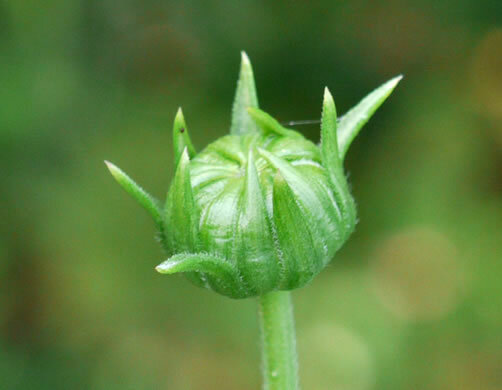 Phyllaries conspicuously graduated and imbricate, usually appressed, per Weakley's Flora. 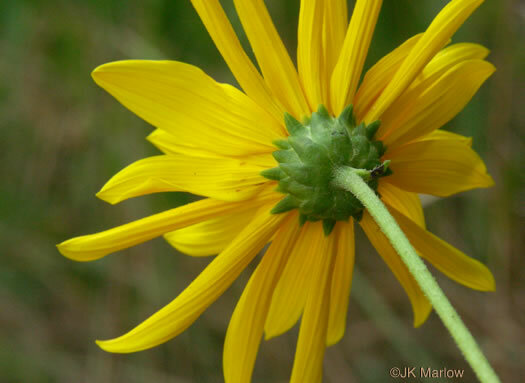 Ray florets 15-20; disc florets w reddish lobes, at least tips; anthers dark, per Flora of North America.